HabitChange Company (HCC) has hired graduates of our HabitChange Coach Training and Certification program for part-time fee-for-service work. In fact, it was our need to find skilled and qualified coaches to work with our clients that motivated our desire to develop our coach training programs. However, it is important to note that we do not hire all graduates of our courses. Being admitted into our coach training program should not in any way lead you to assume the guarantee of part-time or full-time work within or outside of our company. Also, while becoming trained and certified as a professional coach may help you find gratifying and financially rewarding work as a coach, developing one’s own successful coaching practice also requires knowledge and skill in starting and running a business, as does most other businesses. HabitChange Company (“HCC”, “us”, “we”, or “our”) operates www.habitchangecoach.com or www.thehabitco.com (the “Site”). This page informs you of our policies regarding the collection, use and disclosure of Personal Information we receive from users of the Site. We use your Personal Information only for providing and improving the Site. By using the Site, you agree to the collection and use of information in accordance with this policy. Use of our site is also governed by our Terms and Conditions. Information Collection And Use. While using our Site, we may ask you to provide us with certain personally identifiable information that can be used to contact or identify you. Personally identifiable information may include, but is not limited to, your name, email address, location and phone number (“Personal Information”). HCC may also collect information in conjunction with marketing and registration for programs and related services and perform follow-up with its program registrants, as part of the registration process for its programs. From time to time, we may also conduct surveys or offer contests or other promotional events, and gather additional information from you in connection with those events. Other than in aggregated, derivative form, we do not share such information with anyone not associated with HCC. Personal information is kept confidential and used solely by us in accordance with this Policy. Log Data. Like many site operators, we collect information that your browser sends whenever you visit our Site (“Log Data”). This Log Data may include information such as your computer’s Internet Protocol (“IP”) address, browser type, browser version, the pages of our Site that you visit, the time and date of your visit, the time spent on those pages and other statistics. Primarily, we use such information to provide you with HCC services available to you. We may use your IP Address to help diagnose problems with our server, and to administer our Site. Your IP Address may also be used to help identify you and to gather broad demographic information, some of which we may aggregate and then share with our partners. We may also use your IP address to track information you have seen on our Site. We may use your name, email address and mailing address to assist us in communicating with you. Sharing information. We will not sell, share or rent personal information to others except in accordance with this Policy. We will share aggregated demographic information with our partners and advertisers. Such information is not linked to information that could identify any individual. We partner with third parties to provide specific services. When you sign up for services provided by a third party, we will disclose to the third party only the information that is necessary for the third party to provide these services. We may also use outside shipping companies to ship orders and use a credit card processing company to bill members for goods and services. We will disclose to such third parties only the information that is necessary for the third party to provide these services. Cookies. Cookies are a standard technology used by commercial web services to store small amount of data, which may include an anonymous unique identifier. Cookies are sent to your browser from a web site and stored on your computer’s hard drive. Cookies make your user experience more efficient and pleasing such as by personalizing your experience. Like many sites, we use “cookies” to collect information. Most browsers are set up to automatically accept cookies. You can instruct your browser to refuse all cookies or to indicate when a cookie is being sent. However, if you do not accept cookies, you may not be able to use some portions of our Site. Security. The security of your Personal Information is very important to us. Any sensitive information you send us is protected through industry standard encryption protocol – SSL. We also protect your information collected off-line and restrict sharing this information only to our employees and those absolutely necessary to perform a specific task (such as a billing clerk or customer representative). While we do everything we reasonable can to protect your data, please remember that no method of transmission over the Internet, or method of electronic storage, is 100% secure. Always take precaution when sending sensitive and/or personal information over the internet. HCC has no control over, and assumes no responsibility for, the content, privacy policies, or practices of any third party sites or services. Please read these Terms and Conditions (“Agreement”, “Terms and Conditions”) carefully before using www.habitchangecoach.com (“the Site”) operated by HabitChange Company (“HCC”, “us”, “we”, or “our”). This Agreement sets forth the legally binding terms and conditions for your use of the Site at www.habitchangecoach.com. Intellectual Property. The Site and its original content, features and functionality are owned by HCC and are protected by international copyright, trademark, patent, trade secret and other intellectual property or proprietary rights laws. Links To Other Sites. Our Site may contain links to third-party sites that are not owned or controlled by HCC. Governing Law. This Agreement (and any further rules, polices, or guidelines incorporated by reference) shall be governed and construed in accordance with the laws of Pennsylvania, United States, without giving effect to any principles of conflicts of law. Published and generated with permission from http://termsfeed.com. We are so sure that you will love our training programs that we offer a 110% money back guarantee Click Here. 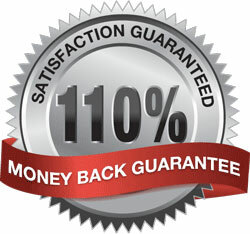 for information on our 110% money back guarantee.